The fleur de lys on the extremities of the cross refer to the town's historic connection with the Huguenots. The bishop's mitre is reference to the fact that for three centuries there has been a cathedral in Lisburn. The weaver's shuttle and the sprigs of flax are symbolic of the linen industry. The ostrich head with the horseshoe on its beak are from the arms of Sir Richard Wallace and refer to his fame as a collector. The mural crown, that is the crown in the form of a wall with battlements, is the badge of a municipality. The gamecock is a punning reference to the old name of the town - Lisnagarvey, the fort of the gamesters. The two phoenix rising from the flames and the motto "I will arise out of the fire" refer to the fact that the town was twice burnt down and rebuilt in its early days. With a population of around 84,000 the Borough of Lisburn is one of the fastest growing areas in Northern Ireland. In its present form the Borough dates from the local government reorganisation that took place in 1973. 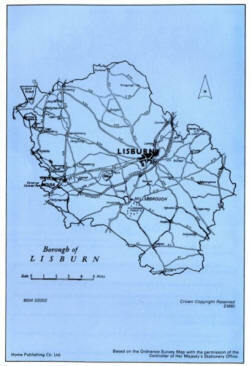 In that year the former Lisburn Borough (which had been an Urban District from 1899 to 1964 and a Borough from then on) was abolished and replaced by the new and larger authority which extends beyond Lisburn itself to include numerous other towns and villages -including Moira, Dromara, Glenavy, Dunmurry and Hillsborough. This large Borough is an area of contrasts. On the one hand are the hills around Dromara and the undulating drumlin country of Down; on the other are the busy built-up areas of the Lagan Valley and, again in direct contrast, the quiet shores of Lough Neagh which, at beautiful Sandy Bay, offer fishing, boating and bathing. The views across Lough Neagh to the distant Sperrin Mountains are very lovely and can best be enjoyed from the heights at Bohill above Dundrod or from Glenavy's Crew Hill, a place where, in ancient times, the Kings of Eastern Ulster were crowned. 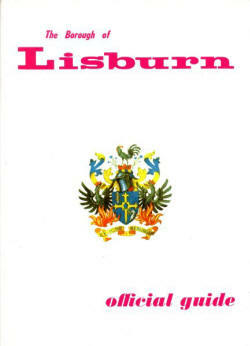 As a place of residence, Lisburn is ideally sited. It is almost on the outskirts of Belfast yet is in the heart of the Lagan Valley. It is astride the main north-south routes and from it others lead to the centre of the Province. Good rail and road links are provided to Belfast and major provincial towns and Lisburn is also close to Aldergrove Airport, the main air terminal in Northern Ireland. 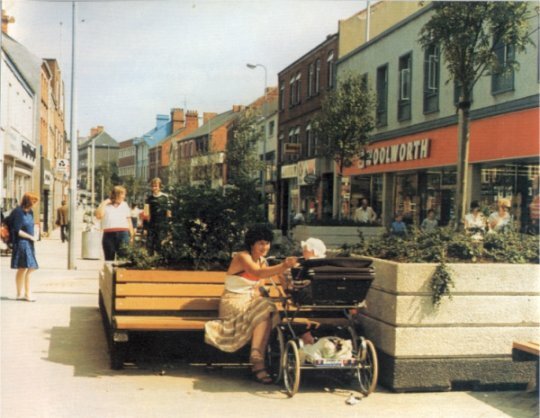 Lisburn, whose history has been long and varied, is now a thoroughly modern Borough, easily accessible and growing in stature as a residential area. Northern Ireland's story goes back many thousands of years and the landscape of Ulster today has been moulded through that time, the thickly forested and lake strewn country of earliest times having given way to well farmed land and smooth hills of today. Ever since the time, over four thousand years ago, that Irish men began to till the land, changes have been a continuous process although, it has to be admitted, not all have proved to be for the better. which are still found in the fields. These constructions belonged to the more important farmers who were, in all probability, descended from the Celts. The ancient culture of the Gael, in which the clan provided the social base and farming was the economic base, finally broke before superior forces and widespread devastation resulted. The forests were destroyed and roads and fortresses were built thus dividing and isolating the various districts of Ulster. Indeed the struggle between Ulster and Elizabethan England, which ended in 1607 with the Flight of the Earls, was a battle between two civilisations. The Gaelic way of life, however, was far from being the barbaric nomadism that contemporary English writers and later historians portrayed it; it was, with its aristocratic traditions, ancient laws and spoken literature, on a very much higher plane than generally supposed. The Gaelic way of life was a pastoral one and had no need of urban centres. Even by 1600 the only places with urban pretensions were such small post towns as Ardglass and Carrickfergus, places founded by the Normans. The 17th century, however, brought the plantations which were concerned with the setting up of market towns. These, although small, became centres of administration and influence and their markets and fairs became regular features of local life. These new towns helped the Ulster plantation to success and they became the main instruments through which was built up a n awareness of the Protestant tradition of the English and Scots. The period of Irish legislative independence, from 1782 to 1800, was a period of prosperity for both landlords and the people of the towns. Much money was spent on roads and new 'public works'; the market towns grew and, in many cases, were replanned. Some wholly new towns, with their wide main streets, were built. In most Ulster towns the oldest houses and inns date from these years at the end of the 18th century. Many farmhouses and country mansions were built or reconstructed at or just after this period. 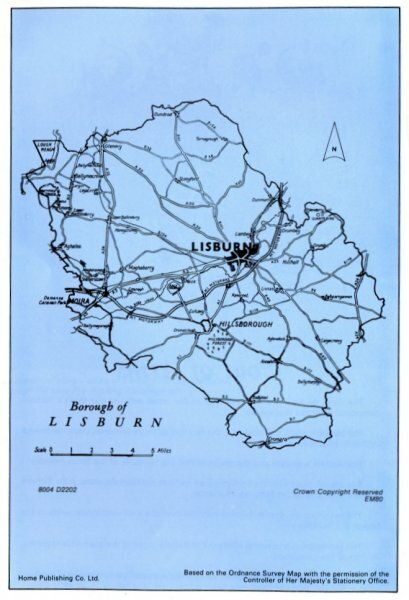 It is against this background that the towns and villages of Lisburn Borough should be seen. In 1609 the territory of Killultagh, which 'fans out' from Lisburn to Lough Neagh, passed to Sir Fulke Conway who brought the first settlers to build the town which was then known as Lisnagarvey. 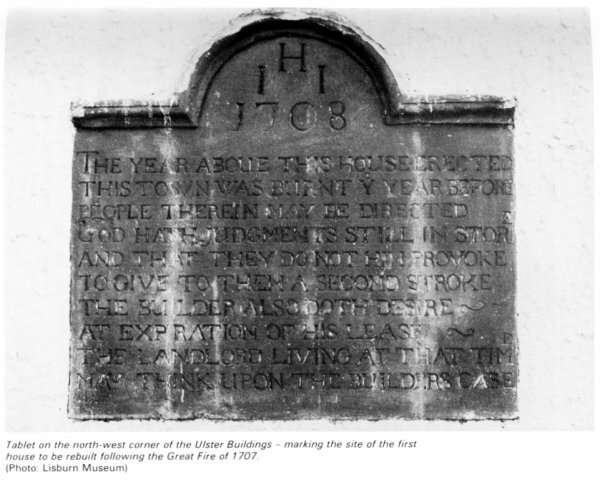 The town's growth was interrupted by the Irish Rebellion of 1641, when it was first burnt, but it was the accidentally started 'Great Fire' of 1707 which destroyed seventeenth century Lisburn. Only fragments survived this conflagration, but the 1677 gateway in Castle Gardens, which remains from the Conway Manor House, and the arches of the Market House in the interior of the Assembly Rooms, are architecturally important, as few pre-Georgian secular buildings in Ulster still exist. 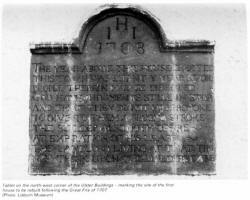 Tablet on the north-west corner of the Ulster Buildings - marking the site of the first house to be rebuilt following the Great Fire of 1707. After the fire a new town which kept the seventeenth century street plan grew with the prosperity of the linen industry and is often described at the end of the eighteenth century as 'the handsomest inland town in Ireland'. In 1698 William the Third had appointed Louis Crommelin, a French Huguenot refugee, to promote the linen industry. Crommelin chose Lisburn as his headquarters and encouraged many Huguenot families to settle in the town, giving Lisburn the right to regard itself as the capital of the Irish linen industry. The importance of the linen industry to Lisburn continued to modern times with such world famous firms as Coulsons, Barbours and The Island Spinning Mill producing fine damask or linen thread. In the 1798 Rebellion it was a Protestant linen merchant, Henry Munro, who led the United Irish insurgents in County Down. Munro was hanged in Market Square opposite his house. In the nineteenth century the most famous people connected to Lisburn were Sir Richard Wallace, M.P., who inherited the Seymour-Conway estates in 1870 and General John Nicholson who grew up in Lisburn and became the hero of the siege of Delhi in the Indian Mutiny. Both are commemorated by fine monuments, that of Nicholson by a bronze statue by F.W. Pomeroy, R.A., in the Market Square and Wallace by a Ruskinian gothic memorial in Castle Gardens. One of the most interesting buildings in Lisburn today is Christ Church Cathedral (Church of Ireland) which is tucked away behind the houses at the east end of Market Square. Originally built in 1 623 as a chapel for the Conways it was granted Cathedral status in 1662 when Charles the Second also made Lisburn a Parliamentary Borough sending two Members to the Irish Parliament in Dublin. The Bishop appointed at the Restoration in 1660 was the famous Royalist divine Jeremy Taylor. Bishop Taylor died in Lisburn in 1667 and is buried in Dromore Cathedral. The present Cathedral was built after the fire in 1708 with the octagonal spire added in 1804. At much the same time the very elegant cupola was erected on top of the Assembly Rooms in the centre of Market Square. 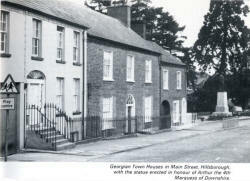 Recently restored, this building is now the home of Lisburn Museum. Other buildings and monuments of interest in Lisburn are the First Presbyterian Church in Market Square which dates from 1708, a stone plaque now on the north west corner of the Ulster Buildings in Market Square which commemorates the first house rebuilt in Lisburn after the 'Great Fire' of 1707, and Wallace House in Castle Street, now part of the Technical College, built in 1880 as a town house for Sir Richard Wallace. St. Patrick's Roman Catholic Church on Chapel Hill stands on the site of an earlier church of 1794. The interior is lofty and dignified in a simplified romanesque style. Modern Lisburn's centre suffers from some unfortunate redevelopment. However, a scheme to pedestrianise Bow Street, just embarked upon, should greatly improve the town's centre and the through-pass road system is nearly complete. The town centre has an excellent range of shops and an open air market at Smithfield Square draws great crowds every Tuesday morning. 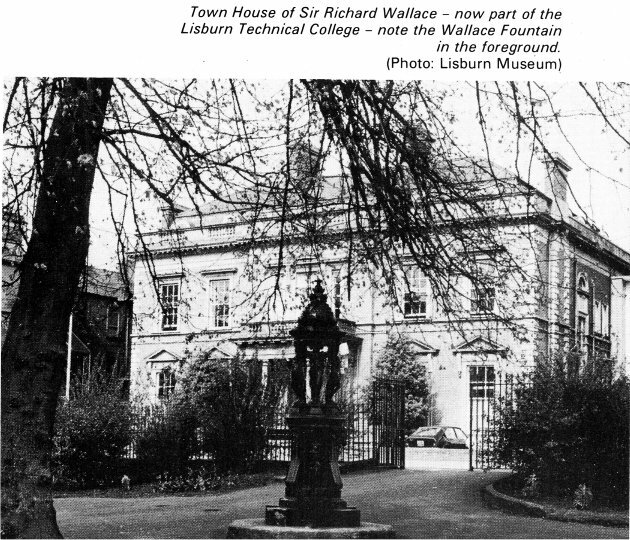 Other amenities of Lisburn include the twenty-five acre and well wooded Wallace Park which was given to the town by Sir Richard Wallace. There is good fishing in nearby streams; the town has a modern indoor swimming pool and facilities for many outdoor and indoor sports and social activities. Although man-made fibres have, to a great extent, usurped linen, that textile is still processed in the town as are the newer nylon and terylene products. Hilden has, indeed, been making linen thread, twines and cordages continuously since Napoleonic times. Long established though the linen industry is, the oldest activity of all in the Lisburn area is agriculture and many of today's industries are still based on the land. Close to the town is one of the country's largest factories for making animal feeding stuffs and there are also two farm by-products factories within the Borough. Other factories pack and export eggs, manufacture jam, can all kinds of fruits and vegetables, process poultry and deal with other types of farm produce. Prominent among more modern industries are cabinet making, ball-bearing manufacture and motor car production. Modern furniture is made for home and overseas markets with several of the new plants working almost wholly on export orders. Ball-bearings are made almost entirely for export by a world famous firm. Other new industries include the manufacture of tyre valves (by a large American-owned business); wire rope; clothing; pressure lamps and cookers; and life saving equipment. Development continues and other new industries are moving into the industrial estates on the town's perimeter. The commercial aspect of Lisburn, too, is fast developing. Many multiple stores are found in the town but a significant feature of the commercial scene is the large family-run business concerns that carry on long traditions of service. Industrial development needs technical skills and technical education has progressed alongside industry. Excellent training and educational facilities are given in the textile, engineering, furniture and building industries. The business life of the town is also helped greatly through the services of an active and progressive Chamber of Commerce. 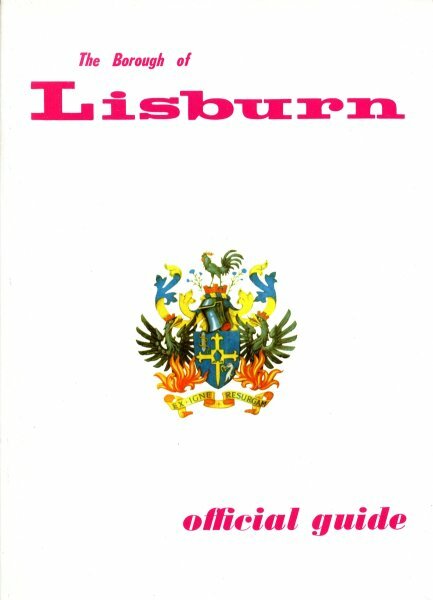 The Lisburn Borough Council has sponsored the establishment of an organisation in order to promote industrial development in its area. 1. Encourage new firms to start in business. 2. To help existing firms to survive and grow. 3. To promote closer co-operation of development plans and industrial promotion programmes. 4. To attract new firms from elsewhere. 3. 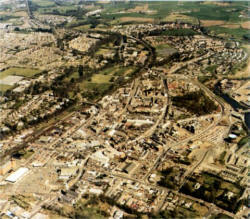 Aerial View of Lisburn. An attractive village in the centre of the agricultural country bordering Lough Neagh, Aghalee stands on the Lurgan to Crumlin road and has in recent years grown as a 'dormitory' village for both Lurgan and Lisburn. The village was the birthplace of the famous portrait painter, Sir John Lavery. Close to it runs the line of the old Lagan Navigation Canal. Although it retains its agricultural links, Aghalee is a growing village and both public and private houses are being built. Ballinderry, which has been called Ulster's 'Garden of Eden', stands in the rich dairy farming area on the eastern side of Lough Neagh. This was once a land covered with oak forests from whose trees the timber for many naval ships was provided; the name 'Ballinderry' (Townland of the Oaks) is a direct reference to this fact. With its oak and apple trees this is still a very wooded part of Ulster and is famous, too, for its onions - the expression 'as strong as a Ballinderry onion' is well known throughout the area. The area is rich in old buildings particularly in the villages of Upper and Lower Ballinderry although at the latter new houses and a school have been completed. At Portmore is the ruin of the original church of St. Loo where Jeremy Taylor preached those gentle exhortations which are immortalised in his books' Holy Living' and 'Holy Dying'. Jeremy Taylor planned the Middle Church (although he died before it was completed) which has an exquisite interior that is the very essence of the 17th century. The high backed pews and the three decker pulpit are very fine. Also of merit is the Moravian Church which was founded in 1750 by John Cennick, a great English preacher who was of Bohemian descent. Between Ballinderry and Lough Neagh is Portmore Lough (otherwise known as Lough Beg) and here, as well as Jeremy Taylor's church, was the great castle built in 1664 by Lord Conway. The castle had massive stables, 140 feet long, 35 feet wide and 40 feet high capable of stabling two troops of horses. After Conway's death, castle and stables fell into neglect and were finally removed in 1761. The deer park, once stocked with deer and wildlife of all kinds, was then given over to farming. Lough Neagh, one of the most attractive features of this part of Ulster, is the largest fresh water lake in the British Isles. Its waters are said to have the power of petrifying wood; more important, however, is its fishing for here the pollan - or fresh-water herring - is found in large numbers. Eels too, are plentiful as are such coarse fish as pike, roach and perch. 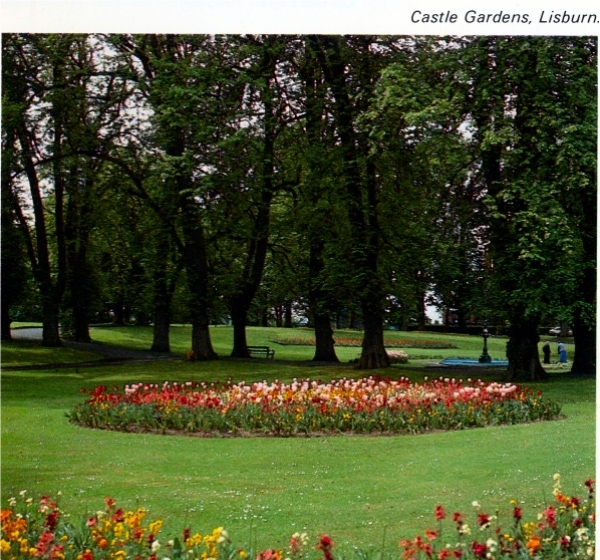 Along the shores of the Lough are numerous picnic spots and bathing areas - Sandy Bay, for example, is a delightful corner. 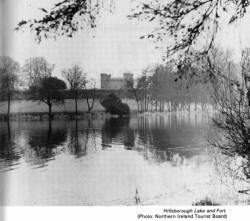 Regarded as an expansion of the Bann Valley, the Lough has several legends to explain its existence. Most popular and colourful -is that Finn McCool, the giant of the Giant's Causeway, formed the Lough by simply grabbing up a lump of Irish soil and hurling it into the Irish Sea. The space left behind formed Lough Neagh whilst the lump of soil formed the Isle of Man. The two features are, in fact, more or less the same size. From haunted wood and vale. Trysting under the ivy tree. One mile to the west of Hillsborough, Culcavy was first developed as a distilling centre close to the Lagan Navigation Canal and that waterway provided its raw materials. During the 19th century distilling was replaced by the woollen industry which, in turn, was superseded by the weaving of linen. The place is still a small industrial settlement and plans are in hand to provide new industries. A busy little town in the south of the Borough, Dromara nestles in the hilly country which rises to the beautiful Dromara Mountains whose highest peak is Slieve Croob (1502 feet). This was, at one time, Magennis territory but it passed into the ownership of the Downshire family who built a market house in the town. 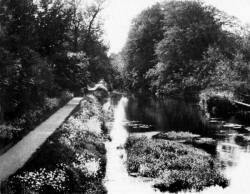 The River Lagan rises on the northern side of Slieve Croob and runs swiftly through the town. Although Dromara now grows in favour as a centre from which to explore this beautiful countryside, the place was for long almost unknown - largely explained by the fact that Dromara was by-passed by roads and railways serving the larger towns all around. For those who know where to explore this area there is much to enjoy. The beautiful countryside can be surveyed in panoramic splendour from the Rib and Windy Gap roads which climb up over the mountains towards Castlewellan and beyond. Local farms are small and are often farmed by men who also work at other jobs - a reminder that Dromara was once the centre for flax growing and of its preparation for the linen mills. The ending of the linen industry here meant that no longer was there an industry to employ large numbers of people. Many people left the Dromara area but others turned to a 'dual role' of farming allied to another occupation. Dromara's houses huddle in their valley beside the Lagan spanned by an old and rather beautifully weathered stone bridge. Of great interest are two fine churches which are both of architectural and historic merit. St. John's Church (Church of Ireland), although ancient, was rebuilt in 1811 and again in 1894 when the transepts were added to make it cruciform in plan. Recent restorations have greatly enhanced the beauty and comfort of the church. The organ is of note, it was built in 1907 by Megahey of Cork and was electrified and rebuilt fifty years later. Of great beauty is the James Pollock Memorial Window which was installed in 1974 in memory of that man's sixty years of service as church organist. The other church here is the First Dromara Presbyterian Church. Built in 1826 it was a typical barn of a building (known as the big meeting house) erected on Artana Hill overlooking a wide countryside with views extending as far as Black Mountain and Cave Hill. The church has been remodelled in recent years and has modern pews. It has, like St. John's, a hall attached to it - both are features of the last twenty years or so. A farming village amid the fields and winding lanes that lie between the Lagan and the southern part of the Borough, Drumbo is known for its ancient round tower, the only one left in Down. Indeed there were formerly three such towers here but now only the stump of one remains resembling a windmill tower. It stands behind the Presbyterian church, a building that dates from 1882. There are several large estates in the Drumbo area including those of Belvedere and Trench House which lie quite close to the village. New Housing Executive dwellings have been built recently in Drumbo. "It is rich in those features of landscape which possess beauty without grandeur and picturesqueness without power. Villas are so numerous, both within and immediately beyond the limits, as almost to melt into one another, and form a pervading or general feature of the charming scenery". The tower of the parish church of St. Patrick dates from 1 798 but the spire is later (1833) as is the rest of the church which was rebuilt in 1870. The bells, however, like the tower date from the preceding building on the site and were cast in 1685. The church's lych-gate is a very handsome one. The village stands next to the Lagan and at Drum Bridge the Council maintains a car park which has direct access to the river's tow path. On the road from Lisburn to Antrim and Belfast Airport, Dundrod is a small village in the rather level country between Lough Neagh and the Belfast Hills. Some residential development has taken place but basically Dundrod consists of its original centre grouped around the church, church hall, school and post office. 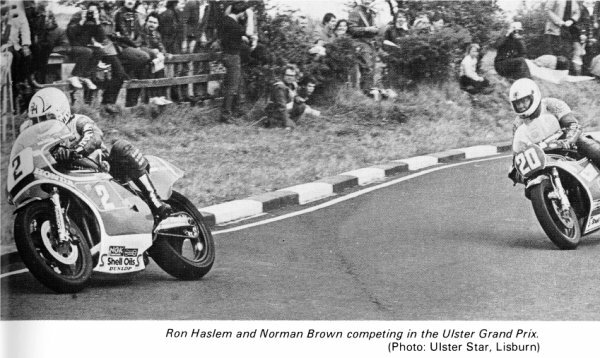 The Borough Council, however, owns the pits area at the Ulster Grand Prix circuit and it is expected that improvements will be made over the next few years. This racecourse is one of the most famous in the world. 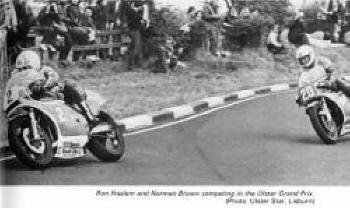 The major race, the Ulster Grand Prix, draws crowds of spectators from many countries. 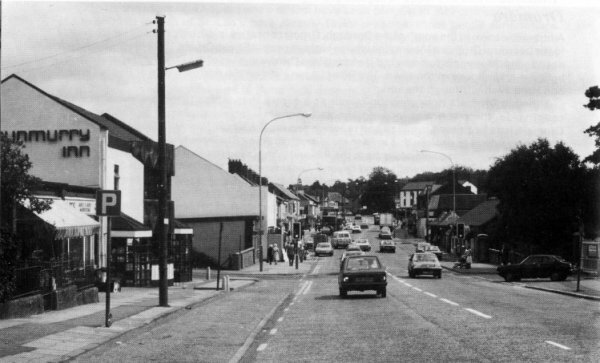 Another of Belfast's southern outposts, Dunmurry, is situated along the Belfast to Lisburn road and has in recent years grown enormously as private and public housing estates have been built. The population is now equal to that of a town and Dunmurry has its own shops, schools, churches and other modern amenities. Backed by the lovely Collin Mountain, with its famous Collin Glen, Dunmurry is flanked by the River Lagan which, although canalised, still retains the atmosphere of a quiet rural waterway. All around Dunmurry's housing estates are the pleasant open landscapes which include the golf course, the Antrim Hills, Moss Side and the Lagan Valley. There are also extensive playing fields in and around Dunmurry. Close to Dunmurry is the smaller village of Derriaghy, an attractive place, whose parish church is of interest. The church registers here date from 1696, unusually old for Ulster. On the Lagan Towpath - now part of the Ulster Way. Also close to the southern border of Belfast is Edenderry, a village beside the Lagan Canal which cuts a straight path across the countryside past the estate of Edenderry House. Here is Shaw's Bridge, well known to artists and photographers for this is one of the more beautiful stretches of the canal, a waterway that was built between 1754 and 1764 from funds gathered by a local tax on ale and whiskey sales. Although a pint of porter then sold for only two pence a total of �70,000 was amassed for the Lagan Canal scheme. Beside the canal is the famous linen mill around which, in the 19th century, the village grew up. The mill itself was built on the site of an older linen bleachgreen. The rows of red-brick terraced houses for the mill workers overlook the mill and the Lagan. Just outside Edenderry is the Giant's Ring, a most important pre-historic relic that was probably constructed about four thousand years ago. Its 15 foot high ramparts form a regular circle 250 yards in diameter and there are superb views across the Lagan valley. The circumference is composed of seven sections and at the centre stands a dolmen of seven great stones supporting one more in table form, all of basalt. On the eastern side of Lough Neagh, Glenavy stands at the junction of roads to Belfast, Lisburn, Antrim and Moira, and is on the Glenavy river which enters the Lough opposite Ram's Island and close to Sandy Bay. Glenavy has had a long history and until the 17th century was called 'Lanaway 'from' Lann-Allaich' (the church of the dwarf), the dwarf in question being a priest who was installed by St. Patrick to look after the parish. Also of historic note is Crewe Hill, (629 feet) where the ancient kings of Ulidia (Eastern Ulster) were crowned. Brian Boru and his Munstermen used to visit this site to exchange gifts with their Ulster counterparts. This is a small and scattered village whose houses, church, school and two factories are spread out along part of the former Belfast to Lisburn turnpike road not far distant from Drumbo. A small and delightful town, Hillsborough stands south of Lisburn on the main Belfast to Dublin road and is an almost entirely unspoilt 18th-19th century town, a visual joy to the lover of good architecture. The town, in fact, received its charter of incorporation in 1661 but was laid out in the first half of the 18th century and Hillsborough has a rare wealth of Georgian buildings. The town takes its name from Sir Arthur Hill who, in about 1650, built Hillsborough Fort which, with its eight foot high earth ramparts and stone revetments looks proudly out over the town. King Charles the Second made this a royal fortress and Sir Arthur was constable with twenty warders. The fort commanded the strategic pass of Kilwarlin and was used in 1690 by William the Third on his way to the Battle of the Boyne. The room in which he slept remains today. The gatehouse is an impressive rectangular two-storey structure of rubble masonry with brick dressings and battlements and tall square corner towers. The Fort was given to the State by the Downshire family (the Hill family later became the Downshires) in 1959 but it is not open to view. In the town centre is the Market house, a charming building of three blocks pyramidally arranged. The ground floor, on a granite plinth, has a nine bay frontage with round open arches in the central block and round-headed windows in the pyramidal roofed blocks; the central square block of three bays rises another storey. Above rises a square clock tower with ornamental urns, cupola and banner weathervane. Extremely fine is the parish church of St. Malachy, built in 1636 and restored in the 18th century by Wills Hill (later the First Marquis of Downshire). Wills Hill had hoped his church would be afforded cathedral rank but here he was disappointed. Superbly sited on a hillside off the main street and near Hillsborough Fort, the church is approached along an avenue of lime trees interspersed with rhododendrons. Close to the church, and now leading to the churchyard is a rather curious pinnacled gateway that maybe a surviving fragment of the earlier church of 1636. Also close to the church is a memorial, carved by Rosamund Praeger, to the Composer Hamilton Harty. Externally the notable feature of the church is its three-storey tower capped by pinnacles set at the corners with, from the centre a soaring needle of a spire. Internally the church is largely unspoiled (although altered in 1898 by Sir Thomas Drew) and is notable for the quality of its woodwork, which include the high oak pews, the tall octagonal pulpit with sounding board, the bishop's throne and the two organs - a small instrument of 1795 by George Pike England and a more massive John Snetzler organ of 1773. Also of rare interest is the Sexton's House and Parish Room with, at each end, a low pavilion capped by Gothic spirelets. Both were originally school houses - for boys and girls respectively. 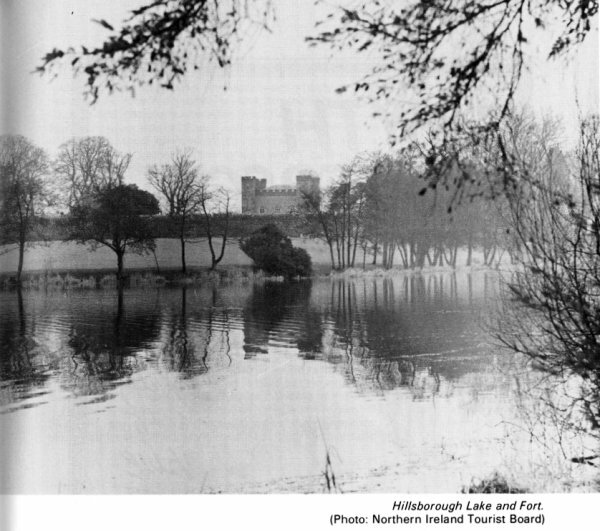 Yet another of Hillsborough's notable buildings is the Castle, standing in a large and beautiful park, and formerly Government House. This is a pleasing though not over-impressive two storey house that was completed in 1797 to the designs of R.F. Brettingham. It incorporates a few fragments of a far smaller house that was built in 1760. In the 1830's and 1840's the house was much enlarged and extensively remodelled. Much of the credit for Hillsborough's layout and design must go to Wills Hill, the first Marquis of Downshire. He was a quite remarkable man and greatly appreciative of the Georgian style of architecture. Previously the surrounding area had been controlled by the Maginesses for centuries. The village was then called Cromlyn and to it as English 'Planters' came the Hill family. The first to arrive was Moyses Hill who came with the army of Elizabeth the First. He married the sister of Sorley Boy MacDonell and settled in the village. His son, Peter, strengthened the old castle and then, after ousting the Maginess family, built the fort. The Hill family fortunes grew and by the end of the 17thcentury (by which time they had called the place after themselves) were among the richest families in the British Isles. 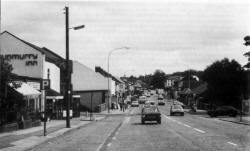 The town today has a quality unique in Ulster and the re-routeing of the main Belfast to Dublin road around Hillsborough should help further to preserve its character and qualities. One modern building of note is the Lisburn Borough Council's main administrative block which, in Georgian style, was built on the site of the 18th century Downshire Hotel which was burnt down in 1943. There are extensive public and private housing estates near Hillsborough and it is planned to build more houses and light industrial premises. On the eastern side of Lisburn, Lambeg stands on the road and rail routes to Belfast and on the River Lagan which here, with its pleasantly wooded banks, is in one of its most attractive reaches. Here, too, is the line of Lagan Navigation Canal although it is now out of use and its locks are neglected and overgrown. Overlooking the village is the 620 foot height of White Mountain, a noted local landmark and a southern outpost of the Belfast Hills. From its summit fine views can be had to the Mourne Mountains. Lambeg grew up around the local linen industry and it has developed industrially and residentially in recent years. The Lambeg Industrial Research Association has its headquarters and laboratories here and these have been in the forefront of all new textile developments and processes in Ulster. Lambeg was also once famous for its drums and for the rallies of Orangemen and their characteristic drumming parties. The largest drum was referred to as a Lambeg Drum and to beat a tattoo on it was to "beat a Lambeg". This Lambeg Drum can still be seen in Orange Order processions. This village stands between Lisburn and Moira just north of the Belfast railway. Anew prison is at present under construction close to Maghaberry and this is expected to lead to further developments in the village during the next five years. At nearby Magheragall is a handsome Presbyterian church and an older parish church whose chancel contains several features of interest. Also situated between Lisburn and Moira, the village of Maze stands on the Lagan"s southern bank. The village is noted for the Down Royal Racecourse, the oldest in Ireland and the venue, each July, for the Ulster Harp Derby. Other important races take place throughout the year. 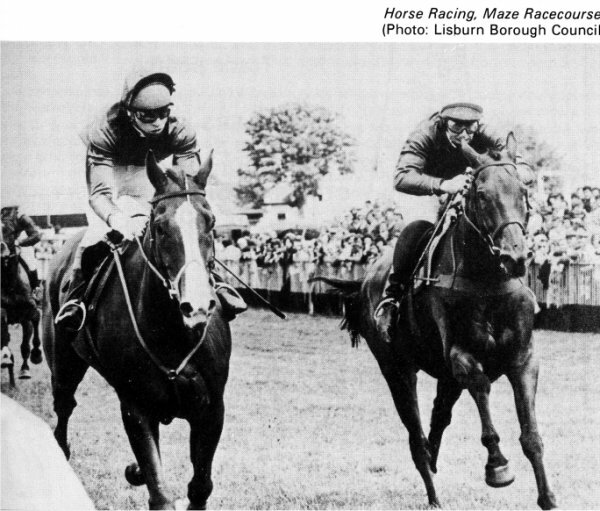 The racecourse belongs to a very old established association, "The Down Royal Corporation of Horsebreeders" who were founded in 1685 by a Royal Charter that was granted by James the Second for the "improvement of horse breeding in the County of Down". The Maze racecourse draws crowds from Belfast at race times and the village becomes very busy. The racecourse is on the south side of the village centre; to the north of it is Lissue, a small hamlet with the Lissue Hospital as the principal building. West of Lisburn and at the western extremity oft he Borough, the small town of Moira stands on the main road and rail routes from Belfast and Lisburn to Portadown. Once known as Magh Rath (the plain of the fort), Moira has long been a place of importance and a fierce battle took place here between the native people and Danish marauders who ravaged the countryside during their incursions from Lough Neagh to which they had gained access by way of the River Bann from Coleraine. Until the 17th century the land in this area belonged to the O'Lavreys but it passed, in that century, to George Rawdon from Yorkshire and to him and his family is owed the credit for the planning and building of Moira. 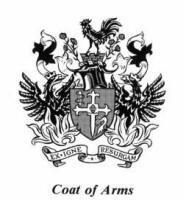 The Rawdon family were, in fact, land agents to the Second Viscount Conway and Killultagh who came also from Yorkshire - from Otley in the West Riding. 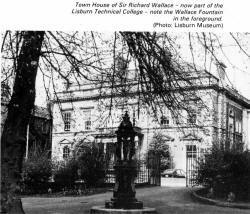 The family built a huge mansion in a beautiful demesne on the edge of Moira and the extensive gardens were beautified by Sir Arthur Rawdon with rare plants and trees brought from the West Indies. 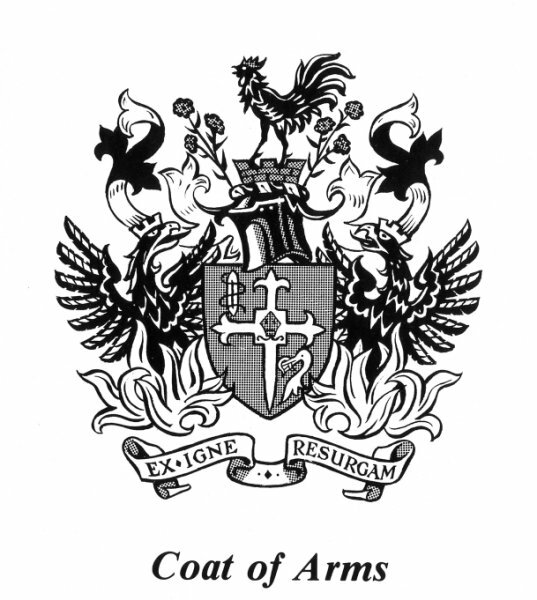 In 1761 Sir John Rawdon became the Earl of Moira but later all his property passed to the Batesons, a family that afterwards became Lords of Deramore. The house has long since gone but the Moira demesne, after years of use as pasture land, is now a public park. Before 1722 Moira was in the parish of Magheralin but in that year it was made a parish in its own right and shortly afterwards a monthly market was started, to promote the linen trade and to sell general produce. 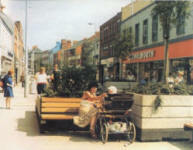 Although this market is no longer held, Moira keeps its importance as a commercial centre. The town has expanded, too, as a residential area with extensive estates of both public and private houses. Moira's broad main street was laid out on the slope of a hill in the 18th century and it has, with adjacent thoroughfares, a close knit character of distinction. A notable building is the Town Hall which, although no longer serving civic needs, still retains its air of solidarity and dignity. A wall of the former Moira Castle and the remains of ornamental ponds nearby, is all that survives of the former magnificence of the Rawdons. 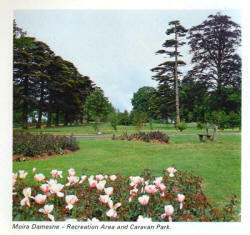 The house was pulled down in 1870 but the 40 acres demesne, as previously mentioned has been developed as a public park. A transit caravan and camping park is but one of its new amenities. The First Presbyterian Church was built in 1860 but much older is St. John's Parish Church which was started in 1722 and whose architectural lines blend with the 18th century houses of Moira from which it stands apart. The Georgian elegance of the church is enhanced by the tall copper-clad spire. Of interest within is the ancient reredos with the creed inscribed thereon in gold letters whilst the communion rails are said to have come from the demolished castle. Moira also has numerous other 18th century buildings of interest including one opposite the Market House that dates from 1735. The Chantry School, used for services before the church was built, is even older and, on the edge of the town is Berwick Hall, a typical two-storey thatched Yeoman 'Planters' house of about 1700. Many other 18th century houses were built for letting and can be distinguished by their arched carriage recesses. Moira has several industries including a poultry processing plant which provides substantial employment and on the outskirts of the town is a lime works. Not far distant is Soldierstown, a village close to Broad Water, the header reservoir for the Lagan Navigation Canal. The canal's engineer, Richard Owen, is buried in the nearby Church of Ireland graveyard. Close to the Lisburn motorway interchange, the village of Plantation originally consisted of a cluster of workers' houses alongside the bleachworks and warehouse that were set up in the 18th century by John Barbour who introduced thread making to this area. Of the original settlement which, by its name, presumably dated from the days of the Planters, little or nothing now survives. North east of Hillsborough is Ravarnet, a small residential community that developed in the 19th century alongside its weaving, corn and flax mills. Unfortunately, much of the weaving mill site is now derelict although the actual building is used for the storage, baling and distribution of waste paper. At the centre of several by-roads, Stonyford stands south of Dundrod in the level country between the Belfast Hills on the one hand and Lough Neagh on the other. This is a natural collecting area for water and the large reservoir here is popular with anglers. The village itself is small and pleasantly rural and there are no plans for immediate development in the area. 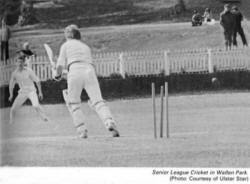 Local government reorganisation in 1973 brought fundamental changes and one of the most important of these was the new role that was given to local authorities in relation to the provision of recreation facilities. 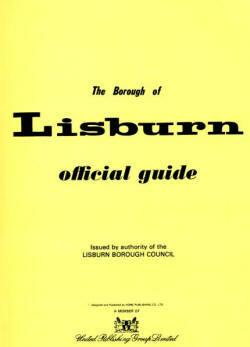 Lisburn Borough Council is thus charged with a responsibility to provide adequate facilities for recreational, social, physical and cultural activities in the Borough and to provide tourist amenities, entertainments and other activities. 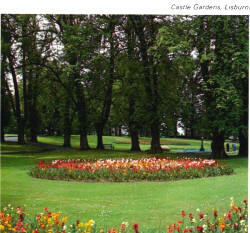 The Borough Council provides parks and sports facilities in Lisburn, Dunmurry, Moira and Hillsborough. At LISBURN, the Recreation Centre at Warren Park includes parkland, outdoor facilities and changing rooms. These outdoor facilities include children's play areas; a pitch and putt course; putting green; three football pitches; a rugby pitch; two hard porous pitches (one with floodlights); a running track; a bowling green and tennis courts - all served with adequate car parking. There are plans, too, to build an indoor recreation centre on the same site, a building that will provide facilities for many sports as well as for community and arts activities. 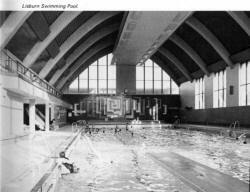 In the centre of the town at Market Place, is the indoor swimming pool which is one of the busiest in Northern Ireland. It is close to bus and rail stations, has its own car park and caters for galas and other events as well as for general swimming. Details from the manager - Tel: Lisburn 2306. Just outside MOIRA are the 44 acres of Moira Demesne which have been developed and provide picnic areas, children's play areas, a transit caravan and camping site and, of course, car parking. Duncan's Park and the land around it has been developed for recreation purposes with paths through the woodlands and with a children's play area. Here, too, a car park is provided. 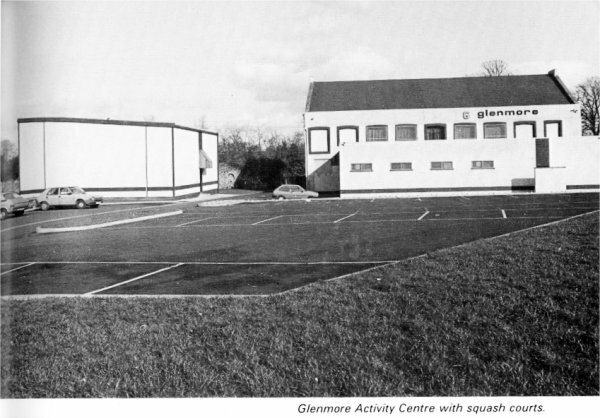 Glenmore Activity Centre with squash courts. At GLENMORE, HILDEN a site alongside the River Lagan has been developed from former industrial premises. This centre includes a large hall, committee rooms, coffee bar, changing rooms, a children's play area, two football pitches and two squash courts. Community Activity Centres have been built at TWINBROOK, KNOCKMORE and SEYMOUR HILL and these centres will provide opportunities for sport, social and cultural activities. A wide range of sports clubs is found in the Borough and an important role is played by the LISBURN SPORTS ADVISORY COUNCIL. It was active in the former Borough and then in 1975 it adopted a new constitution which ensures that it provides a service to the enlarged Borough of today. It advises the Borough Council on the collective opinions of local sports interests on such matters as the improvement of existing sports facilities and the provision of new ones. It encourages participation in sports and physical recreation and makes sure that the public is aware of the sports opportunities in the area. 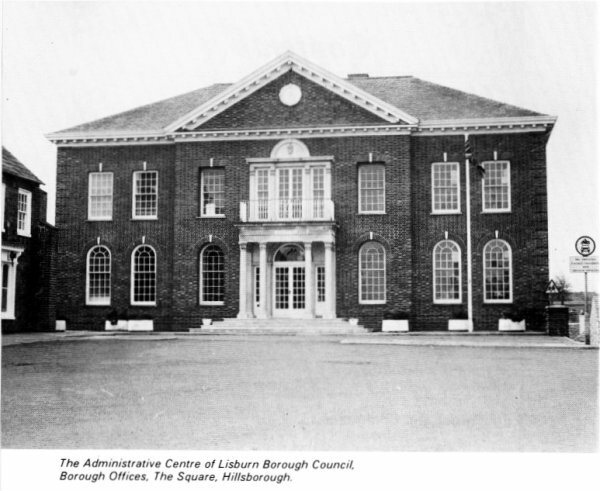 Full details of the Council and its work can be obtained from the Honorary Secretary at the Borough Offices, The Square, Hillsborough (Tel: 682477). Aero-model flying; angling; archery; Association football; athletics; badminton; basketball; billiards; bowling (outdoors and indoors); boxing; camogie; canoeing; clay pigeon shooting; cricket; cycling; darts; gaelic football; golf; hockey; hurling; karate; keep-fit; lifesaving; motorsport; netball; orienteering; pigeon racing; riding and showjumping; rugby football; snooker; squash; sub-aqua; swimming; tennis; table tennis; taekwondo; water skiing. As well as these sports there are TWO PRIVATE GOLF CLUBS in the Borough. These are the Dunmurry Golf Club with an 18 hole parkland course at Upper Dunmurry Lane, Dunmurry and the Lisburn Golf Club with an 18 hole parkland course at Hillsborough Road. A public nine hole course is under construction at Aberdelghy near Lisburn. Senior League Cricket in Wallace Park. (Photo: Courtesy of Ulster Star) Lisburn Swimming Pool. 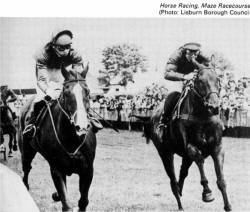 Close to the village of Maze is the DOWN ROYAL RACECOURSE, the oldest in Ireland and the venue, every July, for the Ulster Harp Derby. Part of the Dundrod motor-cycle circuit is within the Borough. Co-operating with the Arts Council of Northern Ireland, the Lisburn Borough Council holds dramatic and orchestral concerts, art exhibitions and other cultural events. 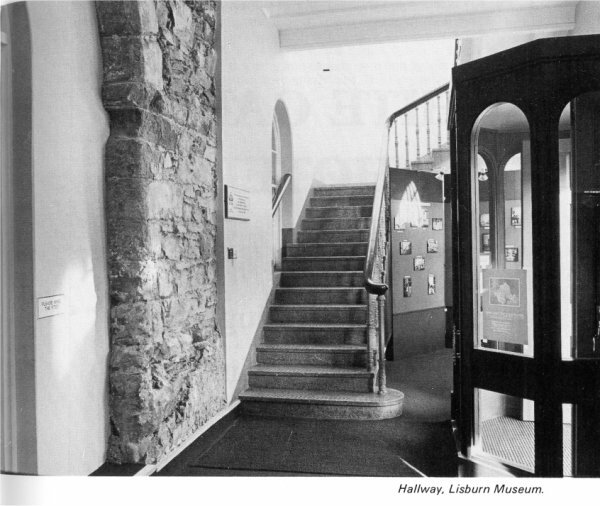 Housed in the Assembly Rooms, Market Square, the recently opened Lisburn Museum aims to collect, preserve, research and display objects and information which relate to the area of Lisburn Borough. Permanent displays will eventually include the Archaeology, Local History and Natural History of this region. There is also an Art Gallery which displays works by artists of some local connection, topographical views and portraits of local worthies. The Borough's many tourist assets include its attractive villages; historic buildings and monuments, beautiful scenery, excellent hotels and country farm-houses. A major tourist attraction is Lough Neagh whose 65 miles of shoreline is well wooded and has small hidden harbours and sandy beaches. At Moira close to the Lough, is the Borough Council's transit caravan and camping site. Much of the Lagan Valley Regional Park lies within the Borough and it has within its 4,140 acres, much to interest the tourist. The Park extends from the first lock at Stranmillis as far as the Union Locks at Sprucefield. Tourist information - including a guide to the Lagan Valley, a folder on Lough Neagh and details of Moira's camping and caravan site and accommodation in the Borough can be obtained from the Borough Offices, The Square, Hillsborough(Tel: 682477). The Borough Council has two community centres in Lisburn. The West Lisburn Community Centre is widely used for social and recreational activities whilst the Bridge Community Centre at Railway Street was acquired in 1979 and provides further much needed facilities. The Council has also, since 1973, provided services to local community associations in the form of grants to help with running costs of community or resource centres or to help community associations with their administrative expenses.